The initial Ask the Land (ATL) survey began in April 1997 and continued through October 1997. 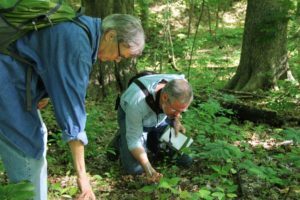 This survey confirmed what many visitors to Shepherd’s Corner had recognized; that the site is ecologically rich and valuable. 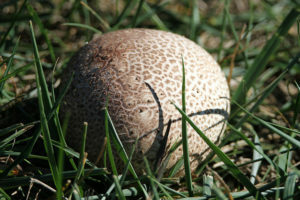 Over 650 species of fungi, plants, and animals were identified on the property. This includes approximately 320 plant species, numerous invertebrate species (e.g., snails, spiders, and insects), over 20 fish species, eight amphibians, six reptiles, and 13 mammals. 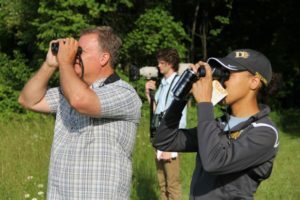 In addition around 105 bird species were seen or heard. Our 160 acres has seven habitats: garden, hay field, old field, woodland, wetland, pond, and stream (Blacklick Creek). In 2015, the ATL survey was re-visited with the assistance of volunteers and a Columbus Foundation grant which allowed for a summer intern. The new survey counted butterflies, wildflowers/plants, and birds. Shepherd’s Corner continues to add to the data and appreciates any additional volunteers to help with this task. You can access the original 1997 ALT document here. Linked to the pictures you will find lists of the plants and wildlife that were observed here at Shepherd’s Corner. 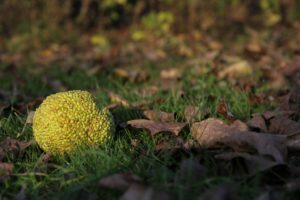 This picture of an Osage Orange links to trees, shrubs, and vines which were identified on the property. 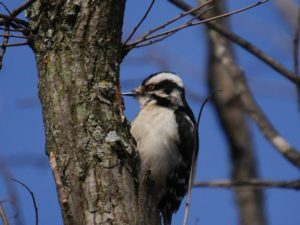 Click on this downy woodpecker and you will be linked to the birds observed. 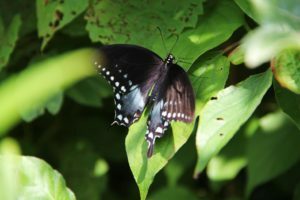 This beautiful black swallowtail butterfly links to dragonflies, damselflies, moths, and butterflies. 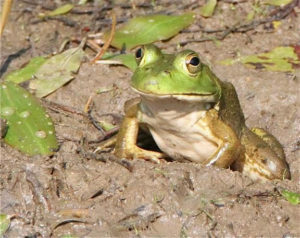 From this frog, you can access the fish and amphibians that were found. 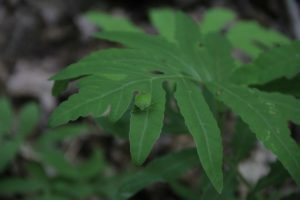 This sensitive fern will take you to see the new plants found that were not noted in the 1997 ALT survey. 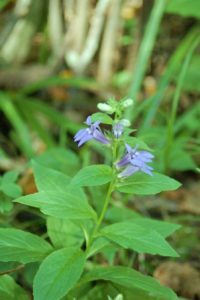 Click this great blue lobelia to access plants which have been found during both ATL surveys. Clicking on this mature puffball mushroom will take you to the moss, fungi, and lichen found here at Shepherd’s Corner Ecology Center. 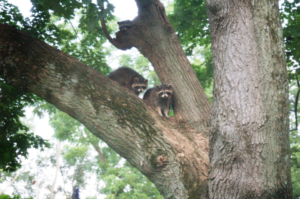 These beautiful raccoons will take you to the mammals that inhabit our land. Below you will find a few pictures from our 2015 Ask The Land Survey. 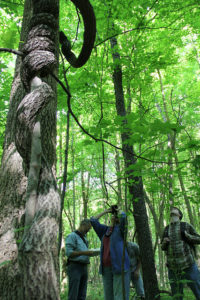 We at Shepherd’s Corner Ecology Center are driven to protect the bio-diversity of the land that we occupy. 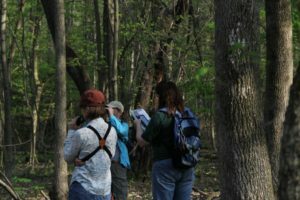 Our wildlife survey, Ask The Land, centers on being aware of what species share the same woods we walk. As Pope Francis states in Laudato Si, our forests, woodlands, and species that inhabit these ecosystems are important and must be protected.